Go Canoeing Week, beginning Saturday 26th May and ending Sunday 3rd June, is British Canoeing’s yearly campaign that aims to bring the excitement of the sport to everyone. This year’s theme is Big Adventure and the week falls over May half-term so that the whole family can get involved. Several organised events are taking place, but people can individually get involved by clocking their miles on the water throughout the week on their own adventures, such as a regular paddle or going off on a trip. There is a 45,000 miles target for the week, so it is important that everyone gets involved, and if the only thing holding you back is equipment you can buy canoes and accessories from our online shop! There are several ways to get involved with National Go Canoeing Week, one being starter sessions, which is a great way to get into the sport. 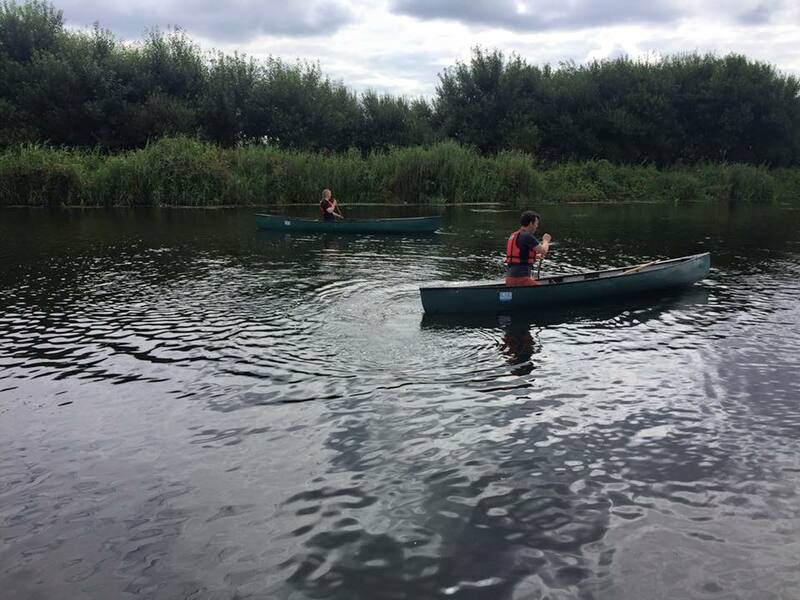 Starter Sessions help to get started and enjoy your time on the water and will be organised by canoeing clubs and centres around the UK. Guided Tours are also taking place throughout the week, aimed at people who have a passion for canoeing and want to meet like-minded people. Each tour is led by a Go Canoeing Tour Guide who is specially trained and sharing their love for canoeing and the route you will follow. Guided tours will also give you your miles so that you can register them at the end of the day. Paddle in the Park takes place on Saturday 2nd June, and Sunday 3rd June at Holme Pierrepont National Water Sports Centre in Nottingham. There will be plenty of paddling activities, from white water workshops, competitions, flat water activities and loads more family-fun events. Of course, you don’t have to go along to the organised events, as the aim of the week is to get people out on the water. Use the week as an excuse to get some canoeing in whatever way you want; regular paddlers could increase your distance, or you could bring your family and friends for a group paddle and turn it into an adventure with a day trip or night away. Find the best canoe trails near you on britishcanoeing.org.uk. You could even use your paddling for good and do a river clean up! Find out about the events happening throughout the week and where you can take part on gocanoeingweek.org.uk/take-part. Once the week begins on 26th May, you will be able to log your miles at gocanoeingweek.org.uk/log-miles. The mileage is a big target; 45,000, so be sure to track your miles carefully, and encourage others to come out on the water with you. You will also be able to upload photographs you take when you log your miles. Everyone who logs their miles on Go Canoeing has a chance of winning prizes. There will be awards to the top group, club and individuals with the most miles recorded in the week with spot prizes too, so you could win a prize no matter the number of miles you paddle. There will be Top Male and Top Female winners, along with Junior Male and Female winners for the number of miles, and the club and organisation that paddles the most miles also able to gain some great prizes. If you do take your camera along with you on your canoeing adventures, be sure to include them when you log your miles, as there is a photo competition! The winner will receive a Go Pro Hero Session action camera, so get snapping and creative with the pictures you take! For tips and guides to canoeing, kayaking and SUP, take a look at our blog.